Are You Ready For NaNoWriMo? In my role as co-admin for the query critique forum on 12 x 12, I recently wrote a post on writing a picture book query. 12 x 12 is closed to new memberships for 2016 (they will reopen again in January 2017), but I wanted share the post here, too, because while there is a lot of information out there on writing regular query letters, information on writing a picture book query is much harder to come by. At the end of the post you’ll find some tips from professionals and some helpful resources. Remember, agents/editors can differ in what they expect/want from a query letter (or cover letter), so please always check submission guidelines. When writing a query letter for a picture book you will basically have three main paragraphs, plus your sign-off. Make sure you specifically address the agent you are querying (use Mr. or Ms. [last name]). DOUBLE CHECK you have spelled their name correctly. Personalise to the agent. Why are you querying this agent with this story? Show you have done your research. You can also include here the TITLE of your story (in all-caps), the word count and the age-range. Age-range is super important, as it shows you know your target audience. Some people include word count and age-range after the pitch and that’s okay, too. This is where you pitch your story. Think of it like a book jacket blurb—you want to entice the agent to read your story. Keep it short (this is a point universally agreed upon by agents—picture book queries should be short and simple). Try to aim for three sentences for the pitch. Five sentences at the very maximum! In a picture book query you should aim to tell your story in a nutshell, including the ending. You don’t have to give everything away—you can still keep a bit of mystery. There’s no need to tell how your characters get to that point—you still want to leave the agent/editor intrigued. It’s important to convey the tone and voice of your story in the query (this DOES NOT mean telling it in your character’s POV). Eg: Is your story funny? Make sure you convey that humour in the query. After the pitch, you might include any comparative texts or mention any relevant information/market research (eg: if it has crossover appeal or there’s a gap in the market or it has content/back matter appropriate for classroom use). You can also include any relevant tertiary degrees or professions (eg: you’re writing a book on dinosaurs and you’re a palaeontologist). Include if you are a member of SCBWI or 12 x 12 or any other significant/relevant associations. Thank them for their time and consideration. TIP: Be sure to read your query aloud! Not only will this help you catch any spelling/grammar mistakes, but it allows you to hear how it sounds. Create an image in the agent’s mind. Channel the voice of your book. Capture the heart and tone of your story. Use a small section of text from your book. (eg: a line or phrase) This doesn’t mean quote a section of your story, but rather work the wording into your story description. Use the same fun words or slip in some of the imagery. Give the whole story in a nutshell, including the ending. “You should not describe how you want the book laid out or offer illustrations (generally).” This means, don’t include page breaks in your manuscript or send a dummy or tell them you already have an illustrator lined up or include illustrations (unless, of course, YOU are an author/illustrator). “Who is your audience? Who will buy this book?” ie: what age range is the book aimed at. Would this appeal to the parent of a child of this age range. Make the agent feel as though you’ve done your homework. Focus on the theme (this refers to the essence of your story). Be succinct. Two to three sentences for your pitch paragraph. Conclude with what your character learns in the end. Be concise—tell me what I need to know. Keep it short—you should be able to tell the plot in three to five sentences. Know where your picture book belongs in the market. You might also like to check out Julie Hedlund (12 x 12 founder) and Emma Walton Hamilton’s course: The Complete Picture Book Submissions System (though it costs to do the course, even when it’s closed you can pick up a FREE 7-Step Submissions Checklist, which has some helpful hints on crafting your query). If you become a member of 12 x 12 you not only get access to the query critique forum, but you also get access to webinars from agents, editors and other professionals that sometimes focus specifically on writing picture book queries (there’s one coming up this month for members ‘Cracking the Picture Book Query’). Registration opens to new members in January and February. Please feel free to share below any useful resources/links you have come across in relation to PB query writing. Or perhaps you’ve received or heard advice from agents/editors at conferences, etc. you can share. In 2012 I joined the first ever 12 x 12 challenge. The premise was simple: write 12 picture book drafts in 12 months. Since then 12 x 12 has grown and developed into more than just a challenge. It has become an important community and opportunity for picture book writers. I would HIGHLY recommend any aspiring picture book writer to join. You will learn so much about writing picture books and the kidlit industry. Seriously. As well as being involved in a community of other kidlit writers, some of whom are already published or who are extremely knowledgeable about picture books, you will also have the opportunity to learn from industry professionals. Community. If you ask any member of 12 x 12 what they love most about 12 x 12 they will most likely tell you ‘the community’. As I said above, there is a plethora of knowledge about picture book writing that fellow 12 x 12ers are willing to share. There is a genuine desire to help each other succeed. Between the Facebook group (where you can ask for advice, share resources and celebrate successes) and the forum (where you can get your picture book MS or query letter critiqued, learn more about the kidlit industry or connect with fellow writers) you will find a generous, kind-spirited community to share your writing journey and help you grow as a PB writer. It’s like a PB writing conference that lasts all year! There are monthly webinars that are available exclusively to members. These webinars involve industry professionals, such as editors, agents, published authors and more. There are opportunities for professional critiques, as well as a plethora of other opportunities that would otherwise be unavailable to you. Opportunity to submit to agents. For those who join at Gold level, you have the opportunity every month to submit to a literary agent who might otherwise be closed to unsolicited queries. Sometimes these agents even reply with feedback. It is honestly the best writing community I have ever been involved in. You will learn so much, develop connections and be presented with opportunities unavailable elsewhere. I really can’t recommend it enough to fellow picture book writers. If the membership fee is a bit off-putting, apparently you can do a 6-month payment plan through Paypal. Honestly, it is completely worth it. I promise. 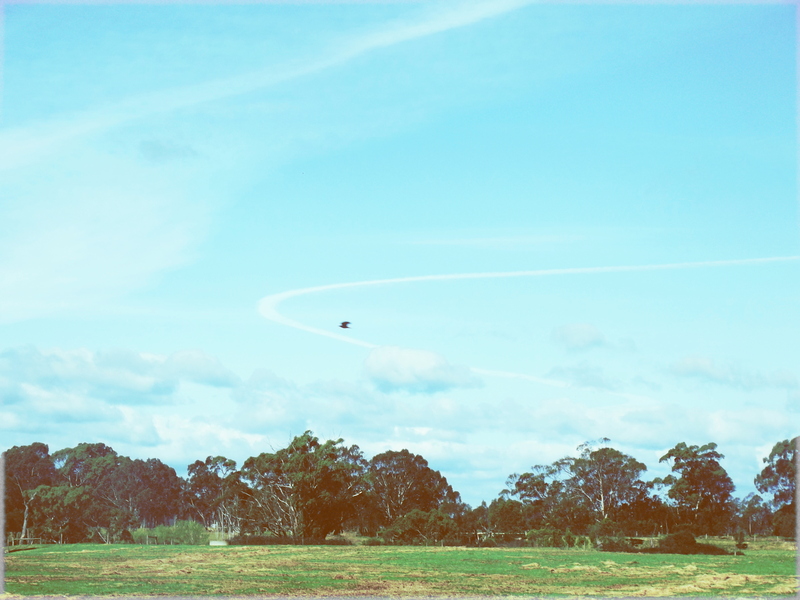 Why I Decided to Self-Publish + Prize Winners Announced! 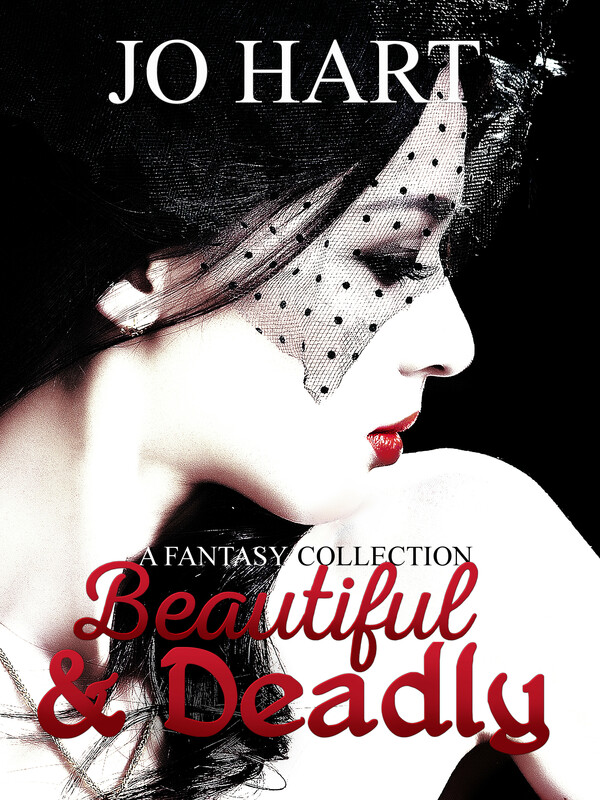 In two weeks I will be releasing Beautiful & Deadly: A Fantasy Collection. It will be my first time venturing into the world of self-publishing. In the past I had never really seriously considered self-publishing—preferring to stick to the traditional publishing route. Self-publishing has typically had a bit of a stigma attached to it—self-publishing is for authors who can’t get published by traditional means, right? Plus it would mean all the marketing and business side of publishing would fall to me. I didn’t feel I was business-minded and that I lacked the confidence to market my own work. But over the past few months my mindset has changed. I listened to a webinar on self-publishing children’s books through 12 x 12 and it got me inspired, especially when it was mentioned that children’s writers could do well through being hybrid-authors (authors who are both traditionally published and self-published). 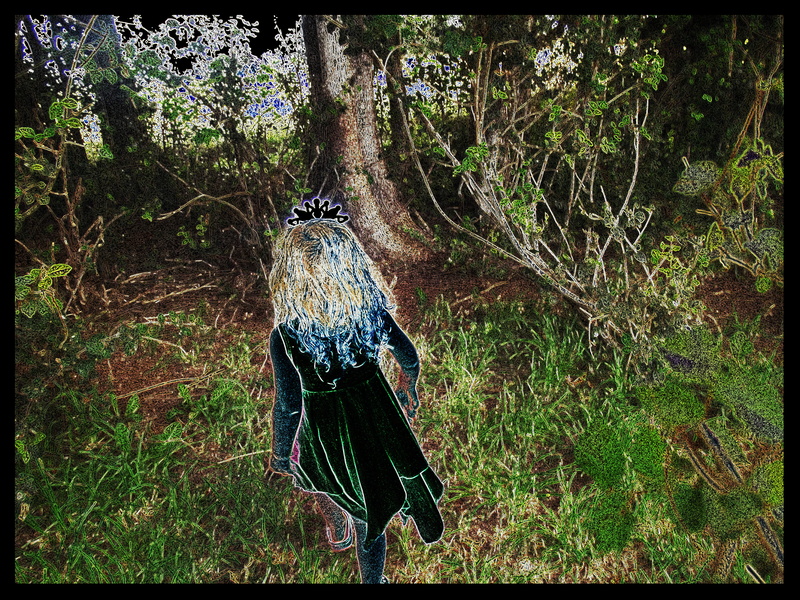 I ended up signing up for the Picture Ebook Mastery course run by the Children’s Book Insider and I started playing around with the idea of self-publishing my own children’s book. My biggest drawback came from the fact that I am not an illustrator and hiring an illustrator would be costly. I started reading more about self-publishing and seemed like a lot of authors were saying that even in traditional publishing a lot of the marketing was left on the shoulders of the author. That was a big selling point for me. The marketing aspect of self-publishing had been a major off-putting aspect for me, but if I was going to be responsible for marketing my work even in traditional publishing, then it was no longer a point against self-publishing. In fact, marketing a self-published book would be great practice if I ever end up being traditionally published. Plus haven’t I already been marketing my short stories in their respective anthologies? This wouldn’t be too much different, except it would just be me (no other contributing authors/publisher to share the load). There have been times in the past where I briefly thought I would like to put all my published short stories into a collection, but now that the idea of self-publishing had lost its stigma for me, I started entertaining the idea much more seriously. The more I planned the collection, the more I wanted to make it a reality. And because most of the stories in the collection have been previously published, I think it took some of the pressure off, because they’d already been through a lot of edits and I knew I could put out a professional book. There are two rules for self-publishing; one of those is for your book to be professionally edited. Fingers crossed and wish me luck as I plunge head first into the world of self-publishing. For those interested in exploring self-publishing, this series of posts by Author Entrepreneur Management Solutions is a must read. It takes you through planning, marketing, expenses and predicting income. I’d love to hear stories from anyone else who has taken this route. Or what other writers think of self-publishing? Would you do it? Why or why not? And now for the winners of my blogiversary giveaway! Prize 1: An advance copy of Beautiful & Deadly. Prize 2: A limited edition short story of your choice from the collection. Prize 3: Your choice of a story critique OR a $5 Amazon gift card. Thanks to all who entered and shared the competition. Winners, please check your email for your prizes! Here in the Southern Hemisphere spring has sprung! But if the beautiful spring weather (or the arrival of autumn and all its wonderful colours for those above the equator) isn’t sparking your creativity, here are some prompts to help inspire you. Where is this place? 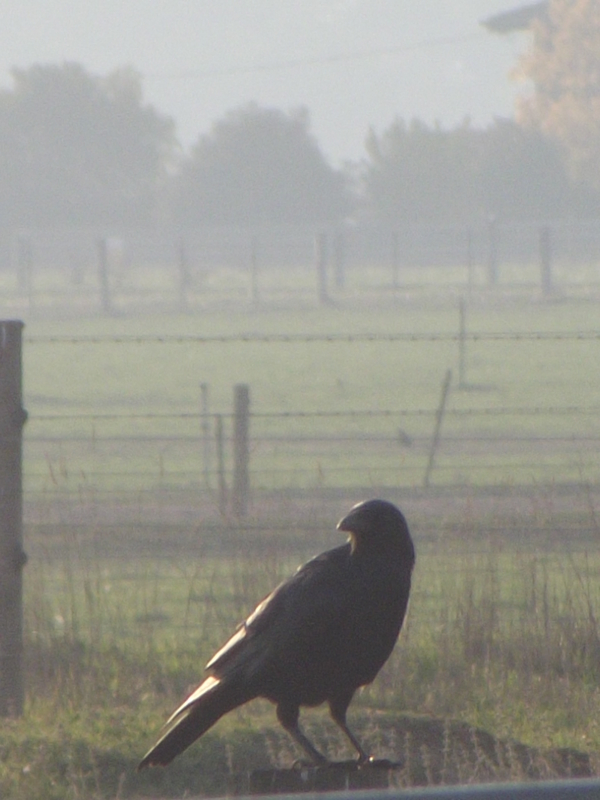 What does the crow signify? Is the crow the main character? The main character’s pet? Part of the scenery? An omen? With NaPiBoWriWee and Short Story Month currently happening, I’m sure there are quite a few of you looking for inspiration this month. Since these events are happening, and since I didn’t do an inspiration post in March or April, I’ve added some extra inspiration in this month, including TWO picture prompts! 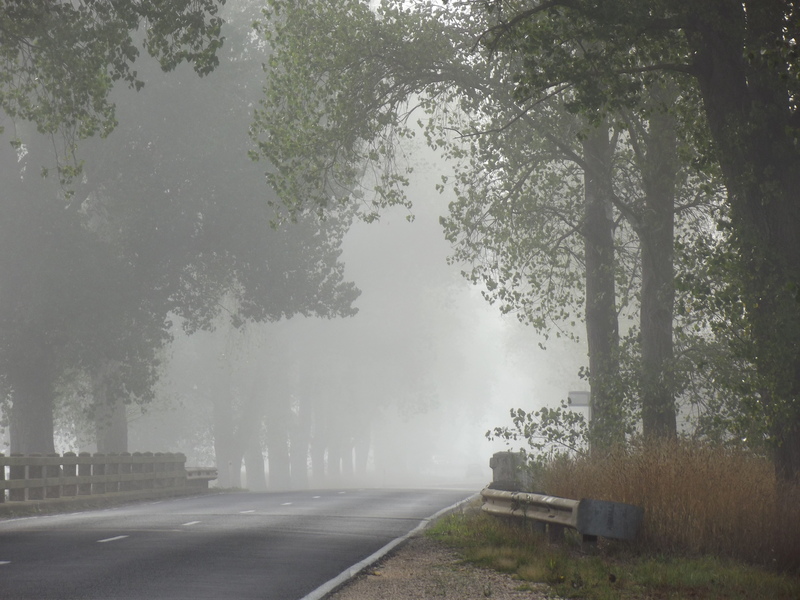 Where does the road lead? What’s beyond the fog? Who is travelling this road? What does the fog mean? Who does this belong to? What does it contain? How did it come to be here? Looking for some inspiration for your picture book, short story or poetry this month? Hopefully there will be something here to spark your muse. What sort of bird left this feather behind? Where is it? What is the bird’s story? 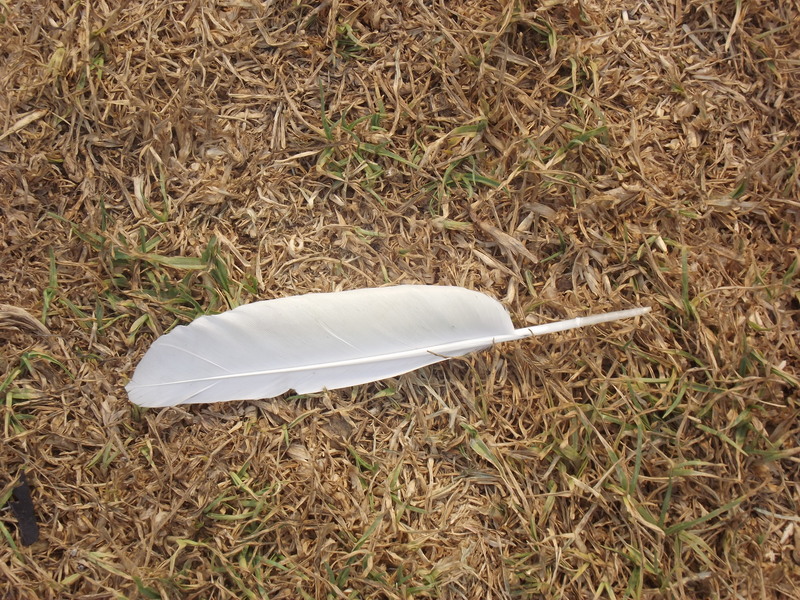 Or what is the story of the person who finds the feather? What does the feather signify? Although this post is primarily written with those partaking in 12 x 12 in mind, it can serve as inspiration for anyone in need of a writing muse. It’s the first month of 12 x 12, so hopefully you’ve come into the challenge full of fresh ideas, ready to write and, for some, maybe a notepad full of ideas from PiBoIdMo. But maybe you’re already lost. Maybe you did 12 x 12 last year and you’ve exhausted your well of ideas. Maybe you thought your ideas were great, but now when you try to write a PB, they’re not sparking like you expected. But not to worry, if you need a bit of inspiration, here is a list of prompts (including a picture prompt). 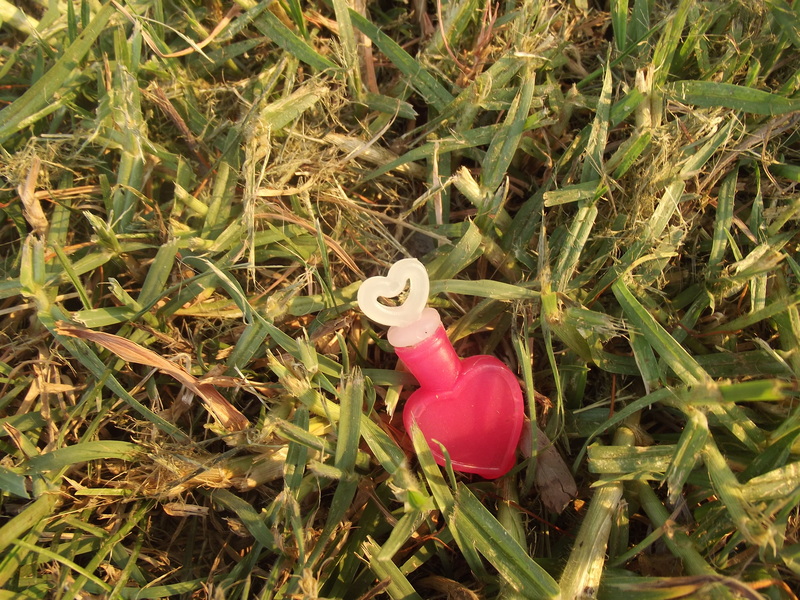 Maybe a single prompt word will prompt a story. Maybe a combination of prompt words will. Hopefully there will be something there to inspire you. Good luck! Who is she? Where is she? What is she doing? Why? Subscribe to my newsletter for writing tips, updates on new releases and special content. I want to subscribe! Enter your email address for free subscription to this blog and receive notifications of new posts. More Christmas presents for my readers! Writing is a journey that can take you to any place in this world or beyond. You are only limited by your imagination. Click 'Published Works' in the navigation bar to read more about these titles. Featuring 2 of my stories: 'The Island of No Return' and 'The Seashell'. From pirates and sea monsters to kind-hearted mermaids and flesh-eating sirens, let these charming ocean tales sweep you away into the realm of fantasy. 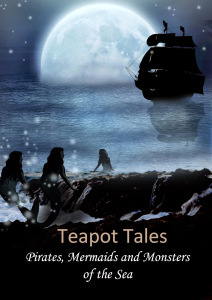 “Teapot Tales: Pirates, Mermaids and Monsters of the Sea” is a wonderful collection of short stories, each story just long enough to enjoy with a cup of tea. The Lonely Wish-Giver, the first group novel of its kind, follows a wish-giver named Audra as she searches for meaning in her job and in her life. All proceeds go to the Make-a-Wish Foundation. Featuring my short story 'Spectrum'. Girls are under-represented when it comes to superhero movies, toys and other merchandise. Within these pages, you will find stories of female superheroes to enchant and delight. You’ll find action, adventure, magic and betrayal. 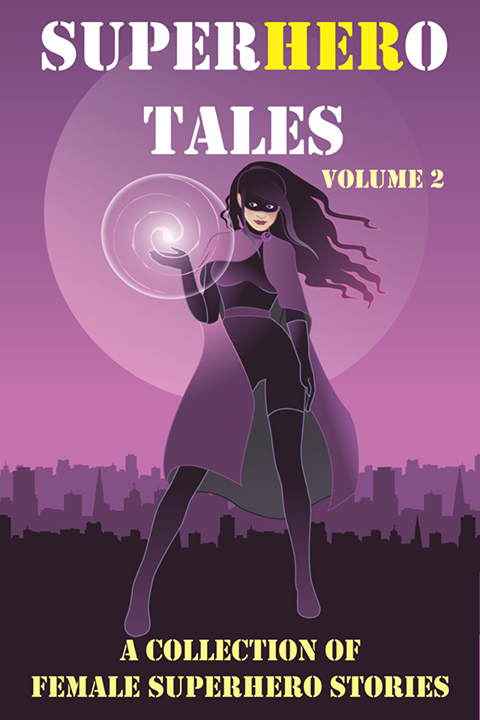 From friendly encounters to government conspiracies, 27 new superhero tales, featuring female superheroes, can be found represented in these stories, written by 24 different authors. All profits go the the 'Because I am a Girl' charity.